Welcome to the Enterprise Rent-A-Car complaints department brought to you by HissingKitty. Experienced poor customer service? We make it easy to file a formal complaint against Enterprise Rent-A-Car online. Simply use our free form and your feedback will be instantly forwarded for review. Need to contact the Enterprise Rent-A-Car corporate office? We have the mailing address, phone number, and email address listed below. To: Whom it may concern @ Enterprise Car Sales/Enterprise Holdings, Inc. In February of this year my wife was involved in a motor vehicle crash and our vehicle (2013 Nissan Maxima SV sport package) was deemed a total lose thus this began our search for another vehicle. As members of Neighbors Federal Credit Union we were aware of the benefits of purchasing a vehicle through Enterprise Car Sales but we had never explored that option. As a Neighbors member I obtained pre-approval for a new vehicle even though USAA had not yet settled the current vehicle loan. As we expressed our search for a new vehicle to family, friends and co-workers, we learned that many of them had purchased vehicles through Enterprise Car Sales. The ones that didn’t, well they knew of someone that had and they all seemed to be very pleased with their purchases. We were even informed that one of them purchased a vehicle and the motor was determined to be bad and Enterprise replaced the motor at no cost to them. Knowing Nissan changed the trim levels starting in 2016 I knew I would need to purchase a Maxima in a Platinum or SL trim level to be comparable to our previous 2013 Nissan Maxima. The Nissan Maxima colors we desired were only Pearl White, Bright Sliver or Gun Metallic. After visiting several local dealerships and searching online for days/hours in and around Baton Rouge, LA; we were unable to find one “that fit us.” During the online searches I explored Enterprise Car Sales and located a Pearl White 2017 Nissan Maxima Platinum in Fort Pierse, Florida. After visiting another local car dealership and again not finding a vehicle we decided to visit Enterprise Car Sales, 6117 Seigen Lane, Baton Rouge, LA 70809. My wife and I met with Sales Consultant, Quentin (Q) Simmons. We discussed the process of purchasing a vehicle through Enterprise. I informed Simmons that we were members of Neighbors and we had been pre-approved for a loan. I informed Simmons that I had located a vehicle online and we were interested in that vehicle. Upon checking the availability of the Nissan Maxima Platinum located in Florida it was learned that the vehicle was currently unavailable due to a possible purchase. Simmons attempted to locate another vehicle matching our specific specifications, to no avail. After learning this we were very distraught but we were assured that a vehicle could possibly be located. My wife and I left, returned home and began yet another search for a vehicle. We began to explore the possibility of purchasing a vehicle through Vroom and/or Carvana. While searching online we continuously checked the Enterprise Car Sales website. I decided to broaden my search for a Nissan Maxima Platinum/SL, thus only entering Maxima in the search engine. In doing so I located a Bright Sliver 2016 Nissan Maxima in Plano, Texas. Unknowingly my wife had sent me this vehicle’s information days prior but I told her it was not a Platinum or SL. Upon further investigation I discovered that this vehicle was indeed a Platinum, 2016 Nissan Maxima Platinum with 15,312 miles but nowhere on the description of the listing did it provide the trim level of the vehicle. I further discovered several more listings out of Plano, Texas that also did not provide the trim levels. After viewing the Carfax and learning the vehicle had been a lease vehicle I contacted the original dealership to check on the service contract claims through CareGuard Warranty Services, Inc. listed on the Carfax. The dealership could not provide any details pertaining to this so I contacted CareGuard. It was learned that this company performed only route maintenance on the vehicle per the lease agreement. I informed my wife that if the vehicle was truly a Platinum trim level we would purchase it. Contact was made with Simmons and I informed him of the vehicle. I also informed him and the finance manager of the discrepancies of the trim levels not listed on this vehicle along with other vehicles listed out of Plano, Texas. I informed them that when someone is looking for a certain type of vehicle and it is not showing due to these errors then sales are being lost. I am unaware if these issues were addressed to proper employee(s). With that being said the vehicle was determined to be a Platinum trim level, so we paid the transfer fee ($586.00) to have the vehicle delivered to Baton Rouge, LA. A few days passed and the vehicle arrived in Baton Rouge. Upon our arrival to Enterprise Car Sales I visually inspected the vehicle, to which only minor imperfections were discovered. During the test drive I immediately noticed a defect in the windshield. The defect is located on the driver’s side area. I found that when I would look toward the left my vision became very blurry and I began to feel nauseated while driving. I immediately informed Simmons that something was not right with the windshield. Upon completion of the test drive we were overall satisfied with the vehicle. I informed Simmons that we would purchase the vehicle with the agreement that the windshield issue was to be addressed. Simmons sat in the driver’s seat and I pointed out the area of the windshield which distorted one’s vision. Simmons stated he could also see that something was not right but he was unsure of what it was. Simmons advised that his manager was out of town at this time but he would address the matter upon his return. I informed Simmons that we had replaced a windshield in our previous Nissan Maxima using Safelight and the windshield they installed had a similar defect only in a different area. I informed him that the windshield they installed was an aftermarket glass and we had an OEM windshield reinstalled with no issues. I was unsure at the time if the windshield on this vehicle had also been changed but after observing the Nissan stickers on it we determined it had not been replaced. Simmons advised he would confirm that this was the original windshield. I adamantly informed Simmons that if the windshield was going to be replaced only an OEM windshield would be acceptable. My wife and I signed all the required paper work pertaining to the purchase of the vehicle and left with the understanding the windshield issue would be addressed. A couple of days later we were asked to bring the vehicle back to Enterprise Cars Sales so the manager could view the defect. My wife went there during her lunch break. The manger advised he could not really see what we were talking about in reference to the defect. Another employee (possibly the finance manager, Randy) also viewed and immediately observed the defect. They advised they would correct this issue. Prior to my wife leaving, she again informed them we were requesting an OEM windshield, to which the manager had no idea the difference and/or the meaning of OEM. My wife then explained the difference. A few days later I was contacted in regards to the replacement of the windshield. I was informed that Safelight Auto Glass would be installing a new windshield. On 3/12/2019 Safelight came to my wife’s place of employment, Sumit Credits located at 330 Veterans Blvd. Denham Springs, LA. 70726 to replace the windshield. When my wife spoke with the installer he advised that he did not bring the correct size windshield and the windshield was not OEM. He observed the defected area of the windshield and advised it was making him sick. He advised her that the windshield he was going to install was an aftermarket windshield. He further stated that he would not put anything less than an OEM windshield in this vehicle if he had purchased this vehicle. He informed my wife that it was noted in his paperwork that the customer requested an OEM windshield but not only did he not bring an OEM windshield he also brought the wrong size windshield. My wife contacted me and informed me of all these events. Later I received a call from the finance manager, Randy. He asked if the windshield got replaced. I informed him that the wrong size windshield was brought and it was an aftermarket glass not an OEM. Randy informed me that he did not have the authority to approve an OEM replacement windshield due to the cost. He advised he would speak with the area manager in regards to this matter. The next day I received a phone call from John Moggio, Area Manager. We spoke about this matter. Moggio informed me that typically they use Safelight to replace the windshields. I informed him that was fine but I am not settling for an aftermarket windshield. I requested the same quality and specifications of windshield be reinstalled and only an OEM windshield could meet that request. Again Moggio did not know the difference between aftermarket and OEM products, to which I explained this to him. I stressed to Moggio that in a way you’re asking me to lessen the quality/value of this vehicle by installing an aftermarket windshield instead of an OEM windshield. I advised that I was not trying to upgrade the vehicles windshield with a better one, I am only requesting the same quality. I informed him that after adding additional warranties and TT&L the total purchase price for this vehicle came to almost $30,000.00 dollars and I would not accept an aftermarket replacement windshield. Moggio advised he would express my concern to someone higher than him. OEM stands for Original Equipment Manufacturer. OEM auto glass is fabricated by the same manufacturer that provided the original glass the automaker placed in the vehicle. In essence, you should be getting an almost identical windshield to what the vehicle came with when it rolled off the assembly line. OEM glass also has special automaker branding on it. Quality standards set forth by the auto manufacturer are met. Fit, Finish, and safety should be the same quality as when the car rolled off the manufacturing line. Meets or exceeds minimum safety standards set forth by the Department of Transportation. Numerous manufacturers recommend only replacing with OEM glass due to ADAS (Advanced Driving Assistance Systems) features. Aftermarket glass often does not account for complex electrical components (involved in ADAS) and may interfere with the vehicle’s electronic system, or cause electronic systems to not function properly. In closing I do not think it is unreasonable to request to have an OEM replacement windshield installed in this 2016 Nissan Maxima Platinum (Vin# 1N4AA6AP3GC422505) (Enterprise Stock#8B4N9D) vehicle. This vehicle was certified and inspected (with a state of Louisiana inspection sticker, good till 2020) by either Enterprise or an affiliate and the defect was not noticed or addressed. As a current law enforcement officer for over 15 years I spend a lot of time looking through a windshield and the one in the vehicle we purchased from Enterprise Car Sales is defective. I am only asking Enterprise to do what is morally right in this situation in order to keep my wife safe, while operating this vehicle. She has at least a thirty minute commute one way to work five days a week and with a defective windshield I do not feel her safety is priority with the Enterprise Car Sales. Thus in order to rectify the situation fairly and in the safest possible way the windshield should be replaced using OEM. On March 9th 2019, I reserved a car rental for 3/14-15 returning on the 16th . I scheduled a pick up for 9:00 am. I received an email reminder on the 13th of march via email. On march 14th, the day I was to be picked up and taken to the rental company on 103rd st. I called to verify the pick up time. The young lady verified me and my insurance, but then explained that she would call me back in 30 or an 1hr to tell if the driver would be on the way. I explained that my reservation was for 9:00 am and that I scheduled this time because I had to be in another city by 11:00. She stated that they were still picking up the 7:30 pick ups and that she didn’t have a driver. At 9:00 I began calling other company’s in the area to see if they had cars available. All were booked up. At 9:45 I called customer care and spoke with George, and cancelled the reservation and filed a complaint. The reservation was cancelled and I was told that the area manager would be contacting me in reference to this situation. I explained again that I was to be in Daytona FL by 11:00 and that there was no way that I was going to make it, and that no other car rental company’s had cars available that was close to me. It is now 2:15 pm and I have not been contacted by anyone from enterprise. I have rented from your company for years and I have always been able to expect dependable and quality service and cars. It has become clear to me that your company has dropped tremendously in every area. I realize that I am one customer and that my dissatisfaction means nothing to you. But I will let everyone I know about this experience, and that fact I wasn’t important enough for anyone to utter an apology. This email will be forwarded to friends, aquantianaces, and anyone that cares to listen, and it my hope that you loose as many customers as possible, for it is obvious that customer service is not something your company takes seriously. I had the surprise to found out .. If I used my car insurance or the RBC Visa insurance, there is a loss deductible charge by Enterprise of a $1000. Such practice are mind to intimidate customer and have them paid for overcharge price of $29.99 a day let's said 30 since penny have been remove for now a few years . So I had to go back to Enterprise Kanata Ontario have a re-inspection of the car and paid for an extra 3 days of insurance for my rental when I have insurance with my Car Insurance and with My 2 Visa. So your intimidation work, taking a chance to lose a $1000 was not worth the saving. Can I get my new agreement by email ASAP please ? Last week, I filed a complaint about an item that went missing from the car I rented from the Tustin Auto Mart Office. When I dropped off the car after rental, I accidentally forgot a shopping bag that contained a few items. One of the items was a dress (new with tags and store receipt). When I retrieved the bag from the rental office the next day, the receipt was still in the bag, but the dress was not there. I called several times to find out what had happened to the item, but was told that the dress was nowhere to be found. After filing my original complaint about the missing dress, and asking to be reimbursed for the cost of it, the manager of the rental office called me to discuss the issue. He DID NOT resolve the issue, nor find the dress, nor reimburse me for it, but rather told me again that the dress was nowhere to be found and that "nobody at his office would steal the dress because only men work there". Since the dress was in the bag when I dropped the car off, and only the receipt for the dress remained when I picked up the bag, clearly, somebody at the office has the dress. This problem has not been resolved to my satisfaction. Again, I respectfully request that I be reimbursed for the missing item. Call And reserved a car today was given several options I choose my option made a reservation received email confirmation and a half hour later he got a phone call saying there was no cars available this is absurd enterprise thanks for ruining our weekend plans I will never use your services again!! Wednesday January 30th 2019 at 11:05 am Dwight from enterprise called me to discuss yesterday 01-29-19 experience and any miscommunication that may have happen with is staff. I do not see how this information is helping me get around driving wise. After I express that on my record renting with enterprise I never paid 250 collision or non collision. This is just confirming of me to not use this service again. Lucky for me I have 2 vehicles and will have to make that work if I am ever is a situation like this again. On Tuesday January 29th at 3:03 pm my 2009 Toyota Venza stall causing the car to come to a complete stop. I have Geico road side assistance so I called and had my cat towed to 5 Tecumseh Ave Mount Vernon NY. I have always used this shop to do all my machine work on my cars weather it was collision or non collision. I always use either the machine shop name or show my Geico insurance card to get the rental deposit for 150.00. Today was a horrible experience. I Dwain Cuffy live at 3086 Ave W Brooklyn NY 11229 and work in Westchester NY (914) 563-9006. I needed a rental for 1 day to get home and come back the next day to pack my car up. I had called Enterprise to make a reservation before going to the location the reservation number is 2028970867. I was told over the phone that its normally 250.00 deposit but if the location where your car is being service have an agreement or contract with 10 South First Ave or if you have a Geico insurance card the deposit will be 150 and will have to set that up at the location. My machine drove me to 10 South First St Mount Vernon NY 10550 (914) 667-6720 seeing that is my only way to get back to 3086 Ave W Brooklyn NY 11229 where I live. Upon my arrival I dealt with the Assistance Manager who asked for my Driver License and credit card so I gave her my Driver License and my business debit card which I have always used at that location and was given a hard time. She wanted to see utility bill to verify and I told her I never had to go through this process using this business card which was Ethan Jr LLC and also displayed my full name. Once I got though that process I was told that there will a 250.00 deposit at this point I became very irate. I explained to her that I made a reservation and have rented cars at this location before and never paid 250.00. I then asked to speak to a manager and was told that the manager was not in and that she is the Assistant Manager. So I explain to her again that weather it’s a collision or non collision I never paid 250 and asked if she can honor 150.00 and was told no. My only option to get home was to call an Uber taxi which is 34 miles for me to get back to Brooklyn. This is by far the worse experience that I have at Enterprise who I have been using going back to when I was in college in 1999. This experience that I had caused me to miss work. Seeing that I did not have a way to get around without a vehicle. I am not sure if I will be ever using this company or refer clients to enterprise after this experience. This issue needs to be address before your company lost more business. I rented a car from Enterprise in Trooper, PA on Thursday January 03 2018 around 5 o'clock pm. They asked me how long I would be renting and I told them less than a week. They had me pay $400 as a down payment. I returned the car on January 10 around 5:30. I was told at the store that I would be receiving a $150 refund. Days later $300 was deducted from my bank account. Some time later the $300 was returned to my bank account. Then, $150 was DEDUCTED from my bank account. I will not be using this store for car rental anymore. Can you help me get my money back? I was greeted by a rude customer service representative by the name of Layla at the Waveland, MS branch office on the afternoon of Dec. 13, 2018. After the verbal argument we got into over a credit card issue she phone harassment every day for over a two week period to bring the car back before mine was finished at the body shop. This was where I had to go to rent a car due to the insurance company of the driver who hit my car. The insurance company said they would handle the situation with the Enterprise and I should do nothing. I don't appreciate how she talked to me or how the situation was handle. The only person at this store that I've spoken to over the phone was Devin who was very nice and helpful unlike the woman I had to deal with. No wonder why my insurance company doesn't do business with Enterprise Rent-a-Car any more nor will I ever since this happen to me. I do plan to make a complain to the Better Business Bureau here in Mississippi about this store branch of yours as well. Car sounded like it was going to break when driving on the interstate. We were at 65 and made a load noise from the rear tires . Called and complained to front royal did not get a sorry nothing from the man that answered. No very happy about the customer service. THIS COMPANY IN EDINBURGH SCOTLAND ARE SCAM ARTISTS... SALAMANDER STREET- AVOID IF YOU DO NOT WANT TO BE RIPPED OFF. I have just spoken to my mother who watched this car drive away from where it was parked. There was no flat tire- so sign of anything- it just drove off. Now I assume you all are after cash because you messed up my booking and did not let me know that you were closed Sunday afternoon. I lost precious time with my Father at hospital due to your negligence at telling me you were closed when I was meant to bring back the car. NOT ONLY THAT, but I had to drive away from the hospital, my Uncle went out of his way to be able to take me home. I was then stuck in traffic with a car I did not want for over an hour. The following day I had to give the key to my taxi driver to return for me as I had no idea where to go at the airport. This all caused me undue stress. I have been renting from this same company since I was 21 years old. I can assure you, I have never been more disgusted by this in my life. In my home country of all places. I will be advising all other travelers of this and to be very wary of this type of behavior. And I will contact any other department that I can find. It may not be much money- I am just disgusted by the lie. I left my camera, a Nikon D7200 with 18-300MM lens in the rear on the floor by driver side on Thursday, November 15, 2018 at about 1:40 PM at the Phoenix Sky Harbor Car Rental building (drop off). I came back from the airport trying to recover it and had the lady from Enterprise Pick Up Area helping me finding it. She found the car in about an hour, however, my camera with lens is gone. I initiated a lost and found on Enterprise Lost and Found site and found that there were three found camera items and I am wondering which one is mine or presumably it was stolen by an Enterprise employee after drop off. I called that given number, (855) 400-0862 more than 50 times since Friday, November 16, 2018 and spent more than 10 hours trying to find the correct Phoenix based Lost and Found personal. I also contacted (855) 266-9565 three times since Saturday, November 17th and they transferred to another department or whatever trying to recover my lost/stolen camera and still no avail. Also, I called that number, (844) 816-4387, Option 5 and #4 and it did not help getting to the correct Lost and Found personal. I was told that they would get in touch with me in a couple of hours. I had someone left my message on the (855) 400-0862 several times after being on the super lengthy hold. It is virtually impossible to find the correct person and now this has affected my decision whether I would recommend renting the Enterprise rent a car. I learned that the (855) 400-0862 is the sole number for the whole world on the lost and found section. I find it very funny because there is no direct contact to the particular car rental station. I told them that I need to know ASAP whether they have my camera or not before I could file a report with Phoenix Police Department. I have more than 15,000 pictures on that missing camera. I really do not know what to do next getting my camera back, however, most of all I still need to know whether they have my camera or not. No star should be available. 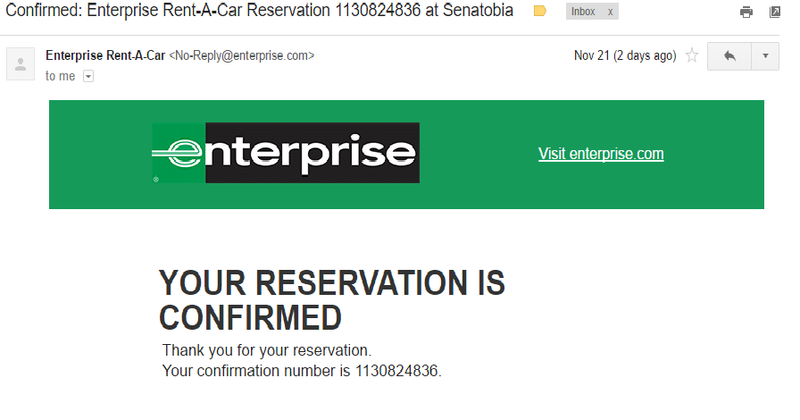 Wife rented car from Enterprise Alabama yesterday, November 13, 2008 for doctors appointment tomorrow the 14th. Young lady called this morning and told us they were not sure about having car for this evening and promised return call by 4 pm today. Wife called and they are closed, no car. Now its late afternoon and we are STUCK. Longer time customer but will NEVER rent from Enterprise and will tell everyone I know not to rent from them. Worst service ever from this location and company!!! I booked a car about ten days before I needed it - pick up date October 23rd, 2018. The day before I was to pick it up I called and asked if I could change the pickup time from noon to 4 pm, since I volunteered at Red Cross that day and didn't want to leave early. The enterprise operator - this was for Asheville, NC, Tunnel Road - said certainly, he would change the pick-up time to 4 pm. When I arrived on the 23rd at 4 pm to pick up my car I was told it had been given away because I was not there at noon to get it ; either the person I had talked to the day before had failed to transmit the message or the person receiving it ignored it. I was told no more cars were available. After I pitched a fuss, the Enterprise counter person got me in touch with Avis and I rented a car from them. I went into the Milton Fl. office to make a reservation for the following week (today, 10-19-2018). I was qoted $35 for my one day rental. This was what I expected as I had just rented a car for one day the week before from the Pensacola, Fl. location and had been quoted the same price. When I went in to get the car this morning the man gave me a price almost double what I was expecting...$61 and change. When I complained he wouldn't give me the price I was quoted but ended up giving me a whole 10% off which meant I still paid $55.97. When I made the reservation I didn't get anything showing what I was quoted. It's like they know they've got you and you'll pay whatever you have to when you arrive to pick up the car, because you obviously have somewhere to be or you wouldn't have rented the car. Definitely not what I would have expected from Enterprise. I feel they need to make this right with me. needed to return my car to a different location. called spoke to helpful person she gave me the new location address and noted in my reservation that i would be dropping off the car. whenI arrived at the location after having driven 9.5 hours I was told before my second foot was out of the car door that they don't take cars at that location. The women didn't ask to see paperwork, why i was dropping off all she said was no we have no room. she didn't recommend other options nothing. THE ABSOLUTE WORST CUSTOMER SERVICE I HAVE EVER RECEIVED . THIS GIRL WORKS IN THE 83 THRD STRETT OFFICE NEW YORK CITY. I've been a business customer since 2013 . In November 2017, I had to cancel a rental. At that time, I had over 4000 points. We assumed that the points would be added back to the account. My company hasn't rented a car in a while because of organizational changes. As of September our travel schedule has increased. I went online today to schedule a rental for next month and noticed that I only have 294 points. I contacted customer service and spoke with Fred, employee number E259VW who informed me that he was unable to give back the points. I escalated the call and spoke with Julie, Escalation Coordinator. She informed me that since it's been over six months, she was unable to add the 4000+ points back in the account. They both were professional and courteous. My concern is the loss of my points. My company has spent a lot of money over the years renting cars. The points are valuable because they help decrease travel cost. Bottom line, we would like our points restored. It's unfair that they were taken away! I submitted this letter to your customer service department on August 7, 2018 and never heard a thing. Would appreciate a response. I am writing to you to express my displeasure with your company and the lack of support I received to resolve your car confirmation problem. On Friday July 20, 2018 I was scheduled by Allegiant to depart Orlando Sanford (SLB) and arrive in Elmira Airport (ELM) at 9:21am where a pre-paid Enterprise Rental car would be waiting (confirmation # 1841284192). Due to extremely long check in lines at Orlando Sanford (SFB) by the time I got an agent it was too late to catch the Elmira flight. I was given the option of paying $75 and flying to Niagara Falls and then driving from Niagara Falls to Elmira Airport to pick-up my pre-paid Enterprise Car Rental (asked to change car rental from Elmira to Niagara Falls Allegiant said no. Requires 24 hour notice). 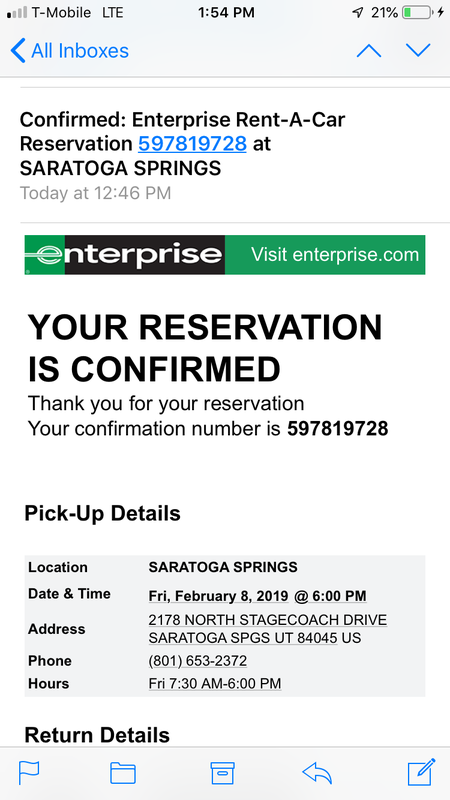 I chose to take the flight to Niagara Falls and called Enterprise for a car rental from Niagara to Elmira Airport where an Enterprise car that I had pre-paid was waiting and I was given confirmation # 1841595026 (attached). The agent recommended that I book the car for the week in case I don’t make it to the airport in time since I was informed by Enterprise that if I could get to Elmira Airport by 10:30pm I could pick up my pre-paid rental, if not I would lose my money. I arrived at Niagara Airport at 6:30pm and went to the Enterprise Booth where I was told they have no cars even though I had a confirmation. Only alternative I was given was to called customer support but the agent at the booth didn’t know the phone number. She just wanted to get rid of a problem. After finding the customer support # on the internet I spoke to a customer support rep. Although I had a confirmation number which he verified he had no alternatives. I asked for a supervisor and spoke to an employee called Ebony. Ebony tried a neighboring airport (Buffalo) but they had no cars available. I asked her to try Rochester Airport which she did but nothing available from Enterprise but they had an Alamo rental car RA 447643404 for $500.32 (attached). I asked her how Enterprise was going to take me on the 2 hour ride to Rochester to pick-up the Alamo Car and she had no answer. I said I could take an Uber to Rochester and Enterprise could pay. She said she could not approve the payment but would forward all the info to her manager for resolution. I asked how long that would take and she said weeks/months depending on how busy he was. With no options left I got a $175 Uber ride and gave him a $20 tip. I arrived at Rochester Airport Alamo booth at 9:25pm and left at 9:50pm which did not leave enough time to reach Elmira by 10:30 and thereby lost my pre-paid Enterprise Fee. 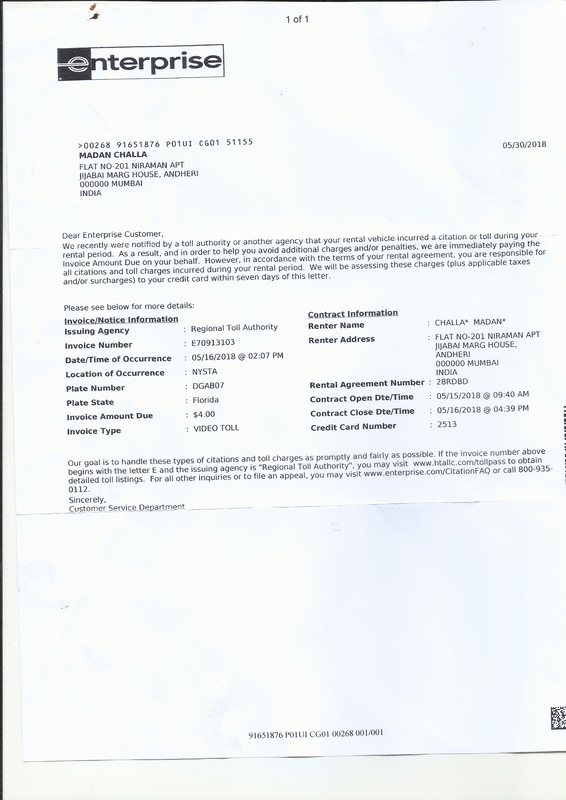 1)	Lost fees paid for Elmira Enterprise car confirmation # 1841284192 $300. Had the Niagara Enterprise confirmation been honored I would have reached Elmira in plenty of time for pick up. 3)	Cost of Rochester Alamo Rental $500 less $100 estimated cost of same day rental/return from Niagara to Elmira $400. Had Elmira Enterprise Car rental been honored would have driven from Niagara to Elmira in time to pick-up pre-paid Enterprise car. 4)	I am asking that you reimburse me a total of $895 for the total additional expense I incurred due to Enterprise not having a confirmed car available. In addition Enterprise showed a complete lack of assistance or care in getting me transportation and trying to resolve your Confirmation process which is apparently broken. This is my 2nd time being overbilled with Enterprise Rental Car. The first time I had to contact customer service 3 times to get my case resolved regarding a overcharge. I been a loyal customer for over 15 years. My cousin retired from Corp in Houston Texas and she made me a believer of Enterprise Rental. My problem has been with Moreno Valley Office. Now My issue is with a coupon I got in the email for 12.99 per day rental. Me and my business partner went to Riverside on University Ave and I presented the coupon. The rep told me that I was gonna be booked at that rate for an economy car. We go outside he lands me on a camry and said i'm gonna have to give you this car because we don't have any economy cars. I asked will it be at the same rate I came for the $12.99 a day and he said yes. I signed a digital signature for the car and didn't get a receipt. Keep in mind me my partner and the rep have the understanding my weekend special rate is $12.99 a day including labor day monday because I ca'nt return the car on monday because the office is closed. The rep told me and my partner $12.99 a day would be included on monday labor day. I come back to return the car and asked to be dropped off. He said they dont drop off to Moreno Valley. So I said just drop us on Day Street in Riverside and we will get home from there. HE said just take the car to Moreno Valley and they can take you home. I asked is there a drop off charge he said no. I get to Moreno Valley a young lady tells me i'm being charged for mileage. I Disputed that. She said but you are being charged for two days extra at $23.99 a day. I said how? I Only rented one extra day so I should only be charged for one day extra at $23.99 a day. She said ok i will change it. I look at the receipt today and i was charged $25.00 miscilaneous 1 day fee. And i'm charged $17.99 a day weekend special rate not $12.99 a day. I called and spoke to the rep who rented me the car and he said he will take care of the extra $25.00 fee and put back to my card. What scared me is that he lied over the phone and told me different that what he told me when i rented the car. He said most offices don't use those weekend special rates. He said they never charged me that rate when I signed up. So I asked why was it communicated to me that i'm being charge $12.99 rate but i'm being billed at $17.99 rate. I explained to him I have the original email that was sent to me and that rate for $12.99 a day weekend special was forward to the artist who is paying for the car. I said it's making me look like a liar and i'm not a liar. I also said if you went to target with a coupon that read $4.99 and the cashier charged you $12.99 and didn't explain why i asked how would you resolve that? He got silent. So he refused to hear my complaint and I said i'm gonna have to escalate this and file an administrative complaint. Now this is causing me major time to do this. I have to rent a car to go to San Fransico in two weeks and i'm afraid i'm gonna be over billed again. I work in media and publishing I'm a published author and I work with artist and talent in showbiz. I pay attention to my bills and i'm not a happy customer at all. I did tell the rep had he communicated with me that they can't honor $12.99 a day then I would tell the artist who paid for the rental car. But no one communicated with me in that regards and that is similar to the previous experience renting in Moreno Valley. My precious experience was, the economy car seat did'nt go up or down and my head was hitting the roof. It was uncomfortable. I asked to exchange to another car. I did not say upgrade me to another car. Well no one told me i was upgraded and getting it resovled was a major problem. It's taking up to much of my valuable time. Why don't they just communicate with consumers so there is not a problem and everyone is happy? Can we make this happen? Can people be honest and have intergrety in business? I want my money back otherwise i'm gonna continue to file administrative complaint on BBB, Consumer Affairs moving on the the attorney genera. You can't lie in business and the staff needs to learn the code in regards to that. 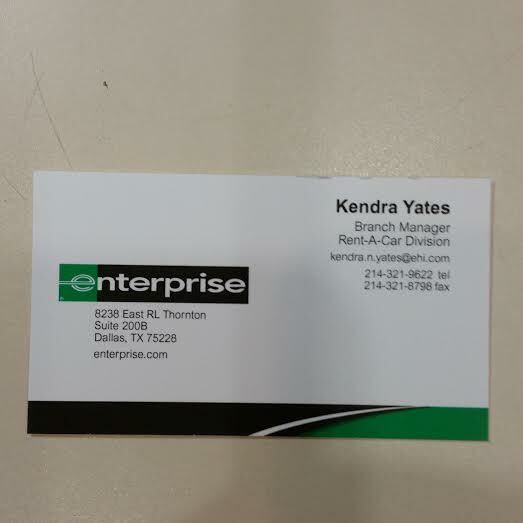 My name is Kristina Gulley a Enterprise Rent A Car customer. For last two weeks, I called the North Rodney Parham location and left three messages for the Branch Manager Mr. Ross to call me. I did not receive a phone call back through storm and rain yesterday, I stopped by the store. The CSR told me he was with his boss and another employee he would be out in a few minutes. Mind you the male CSR did not informed Mr. Ross that I was on site. I wanted about 15 minutes Mr. Ross was still in the meeting. Shortly after, a female CSR asked if she could help me, I explained to her how I had called three times and left messages for the branch manager to call, I heard back from no one so I thought I would received better communication by stopping by. I explained to CSR situation regarding my reservation. This CSR reiterated what her colleague had stated that Mr. Ross was in a meeting would be out to talk to me in a few minutes. Mind, you this rep did not inform Mr. Ross I was waiting to talk with him. After waiting approximately 20 minutes Mr. Ross came out this CSR explained to Mr. Ross my reason for coming to store. After he introduced himself, I asked Mr. Ross if we could go into his office and talk privately. I explained to Mr. Ross situation regarding my reservation, I told him I have been an customer with Enterprise for years, never encountered this type of problem with not being able to use my debit card. I explained to Mr. Ross how I had called two sister companies National and Alamo both CSR told me that information provided to me is incorrect that if I lived locally and proof of my address whether it's a pre paid or debit checking account I should be allowed to use my card. I explained to both CSR's that my card is a prepaid visa card, I lived locally and have car insurance. Both CSR representatives advised me to go to the Enterprise store and talk to the branch manager because information that Enterprise no longer accept debit card is inaccurate. Issue: My family and I have been a customer with Enterprise for years, whether the customer is paying with debt card, major credit card, money order or check. Money is money as long as the service is paid and quality service has been provided to the customer. It's a win situation for the customer and Enterprise. This is no way, for a customer to be treated. Just like your time is important and valuable so is mine. Other than to pick up my rental car tomorrow I should not have to come by communicate with the branch manager especially when I called this same store three times leaving messages for Mr. Ross to call me. Even while I was there, I asked to speak with his supervisor who was there on site. Mr. Ross said it wouldn't do any good, that his boss would tell me the same because it's a new company policy. When I asked for his supervisor phone number he would not provide it, I asked for his supervisor name and phone number he told me I would have to call go online call Corporate customer service. Mr. Ross showed me toll a free number from his cell phone who does this to a customer? I'm a intelligent woman and a college graduate, common sense should have told Mr. Ross if I made reservations in the past, I know how to reach customer service line and corporate number. I told Mr. Ross I wanted names and direct contact numbers for Regional Manager and someone from Corporate Mr. Ross provided me your name and Kendrick Turner, Mr. Ross did state he is not allowed to give out your cell phone numbers. Request: Corporate reconsider it's policy by allowing customers to use a debit card prepaid or not to pay for car rentals. In addition to this, I request that I be allowed to use my debt card to pay for my car rental tomorrow and the for the month of September. I am a professional woman who holds a professional full time job as Career Counselor all of which can be verified with my pay stubs. I have the resources to pay for my rental including it could be drafted from my savings account before you asked, no I do not have a checking account at this time. I use a savings account and apply money to my pre-paid debt card to pay my bills. This is not a crime customers hard working American citizens should not be penalized and strip of their dignity for not having a major credit card. Please be advised this is a formal complaint against your employee located at 6790 Highway 85, Riverdale, Georgia. On 08/06/2018, around 5:15 pm, I arrived at Enterprise to pick up a rental car. The customer service representative who identified himself as Nicholas Anthony Wright, Assistant Manager was very condescending and rude; as he tried to convince me to go somewhere else to rent a car. After I chose not to take the optional insurance, Mr. Wright requested my insurance information. However, I was not aware of this process; as I have been a customer with Enterprise Rental Car since 2009; corporate and personal rentals. Therefore, I did not release the requested information. At this time, Mr. Wright appeared upset. He aggressively responded “I am going to do it this time!” “But, I will not do this again!” I reminded Mr. Wright that I can seek another car rental company. He replied “Do you want to go somewhere else now!” Unexpectedly, Mr. Wright walked away from the counter; leaving me standing for around 15 minutes. As a result, I was the last customer to leave the facility; around 6:16 pm. It is noted Mr. Wright intentionally delayed my wait time, in retaliation. As a rental car service, you value your customers. I look forward to your attention regarding this problem. Please feel welcome to contact me at (770) 595-9226 if you need further information. My car had a tire issue and needed to get in to my repair shop on Friday, July 27, 2018. The car store kindly gave me a lift to the nearest Enterprise,on Pendleton Pike in Indianapolis, IN To facilitate my pick up after the repair, the car repair shop also offered to deliver my repaired vehicle to that Enterprise so I could pick it up after hours as I work 8-7. The Enterprise did not have any rentals available - and I understand as I did not have a reservation - but neither did I plan on my own car breaking!! The staff told me to call the Enterprise 800 number to try to locate a vehicle. I did manage to get one from the Shadeland Enterprise; and they were kinf enough to drive to Pendleton Pike and pick me up. I asked; very clearly and directly; if I could return my Shadeland car to the Pendleton lot as that's where my repaired car was being dropped. They said no. That the car MUST be returned to the original renting site. THey understood my situation and clearly denied that option. In addition; they said that one of the Enterprise drivers could only drive me 10 mile from where the rental was dropped. It's a 20 - 30 miute drive in rush hour traffic from Shadeland to Pendleton; so I would not have had time to drop off my rental at Shadeland; get a ride toPendleton; then get my own car picked up and get to work on Carmel by 8 am. My car was repaired Monday, July 30. I had to wait until today,Aug 3, my day off to make this car switch. When I dropped the car off at Shadeland, the manager there told me I could return a rental to ANY Enterprise in the city (except thr airport). If that were true, I could've made the car switch at Pendleton Monday after work. SOMEONE LIED to me. I had to rent a car for 4 more days than necessary, and then waste the morning of my day off playing musical cars. And since I never actually rented from the Pendleton Pike branch, I cannot give them the 1 star they deserve. Oh, and the Pendleton Pike manager told me he would have the regional manager reach out to me. Really?? How does he even know who I am since I never leased from him?? Lack of client service. Lack of training in conflict management. Lack of knowledge of basic rental policies. LACKLUSTER. yes good afternoon how are u doin on today,Well me not to good I always us enterprise for my travel with family & today was a bad experience on enterprise very,very poor service,notly am I very upset I made resvertion for a 15 passanger van 2 months ago pick out what van I wonyed so my family will be comfortable riding all tha way to New York so I goes to pick up my renter today & to find out tha don't havie any 15 passanger van that I looked at & agreed on renting it was a 15 passanger Transit van nice seateable for my 12 family members to enjoy but instead they gives me a Chev van with tha close built seat now how can u ride comfort all tha way to New York in something like this we some good size people here I feel it needs to be something done about this cause truly im paying a lot to rent a vechile at least it should be tha one I looked at & agreed on. The manager of the Plano Texas Car Sales will not respond to my emails. I give Enterprise rent-a-car service in East Florida "no stars". Made a reservation for a small compact car. Had to wait about 20 min before I was waited on, another 20 min waiting for the vehicle. They brought me a Nissan truck which was double the price of the vehicle. I told them this isn't what I ask for and was told wait another 20 mins and they would clean a car up for me. I told them to cancel my reservation but they told me they would let me have the truck for the same price. I took the offer but was not pleased because I was expecting to save gas since I was going to San Diego from Hemet. I will never use this service again...never!!! Very upset the rental car locked me out while the car is running. Why the heck was I not told this car does this upon driving away from the Rental Lot. Inexcusable. I am a U.S. Veteran and pay close attention to customer service and business communication. I am now having to wait an hour for car to be unlocked all while having another bill added. I do not think I will use Enterprise ever again. My husband and I went to the Selma Alabama location and we were in desperate need of a car as ours had broke down. The representative spoke to us like we were trash. She asked for our utility bill and said it would be 200.00 deposit . I have never paid that for any vehicle. Needless to say we left immediately. I will never use Enterprise again. I have rented a car from you on 15th May 2018 from Philadelphia and returned it on 16th May 2018 at Buffalo, Newyork. I have settled the payment on the same day. To my surprise, I receive two letters from you today ie. 23rd June 2018 at India, stating that I defaulted on two toll payments, one of $4 and one of $15.80. To the best of my knowledge, I have not defaulted on any toll payments. However, If you claim to the contrary, I will consider paying the toll charges if you can tell me the consolidated amount and provide me your bank account details, to enable a wire transfer ( As I am in India). I appreciate if you can send me some form of evidence of my default. I am attaching copies of your correspondence for your perusal. I returned a rental car on 6/13/18 at 4:43pm to McCarron Airport in Las Vegas NV and forgot my wallet in the vehicle. As soon as I realized I didn't have it, I called and they told me that yes they had a black wallet turned in. I told them I was on my way and arrived about an hour later to retrieve it. As I proceeded to leave I realized all my cash was missing, (250.00) I told the manager & he said they are reviewing the cameras. After a lengthy process, the manager told me he couldn't help me, there was no proof to identify anyone steeling it form my wallet. As I read thru the pamphlet I saw that there is a form I could fill out but he never mentioned anything to me regarding that, he was so unprofessional as far as I'm concerned. All he told me was there was nothing he could do! How do you employ thieves & dishonest employees to work for you is beyond me!!! 250.00 is a lot of money to me (I work hard for my money) but this totally boils down to principle!!! Your company should do better back ground checks on your employees, not good for your business!!! I will never rent from your company ever and I will exploit my experience with everyone I know... personally & on social media!!! I rate your service a 0 on a 1-10 scale!!!! Hopefully you check into some of your employees & management.... Just food for thought to redeem your reputation!!! My pregnant daughter Kayla Willoughby made a reservation for herself and my 5 year old grandson a month in advance for an economy rental car to be picked up on 6/8/18. She decided to call in advance the day of pickup to let them know she was on her way to pick up and the rep told her not only did he not have her car but there were 11 people on the waiting list. He gave absolutely no explanation for not having it. She then called corporate who promised a solution as she was to leave for a pre paid pre planned vacation the very next morning. They would call back. An hour later they called back and offered a rental 3 days later at almost double the price originally quoted. They did not offer to make it right nor give a solution. Shame on you Enterprise in Morehead KY as well as Enterprise corporate!! I do not recommend them whatsoever for reliability or customer care. I reserved a SUV Standard 4WD for 16 June 2018 - 12 July 2018 from Enterprise Car, 1807 South Lumpkin Drive, Columbus, GA. A few days later I went back to that Enterprise, explaining to them that I would need a ride from my residence, 5400 Broadfield Drive, Columbus, GA to Enterprise on 16 June 2018 to get the vehicle. I then and only then I found out that they told me to contact the Enterprise Car Rental, located on North Veterans Drive, Columbus and they would pick me up and bring/take me the Enterprise on South Lumpkin Drive, Columbus, GA simply because it was closer to my residence. Upon contacting the Enterprise on North Veterans Drive, I found out that they wouldn't because it was out of their assigned area of pickup. Plus, they didn't have anymore of this type of SUV available for these dates. Everything that the Enterprise on South Lumpkin Drive had told me was not even close to what the Enterprise on North Veterans Drive to me, once I talked to them. I have used Enterprise Car Rental several times but I have never seen this type of service, lack of policy knowledge about pickups. I have no other way to get to Enterprise other than taking a taxi-cab to your company, simply because of lack of giving complete and correct information. Because of this, I will more than likely never use or recommend Enterprise to anyone. You only find out important information only when you ask; never volunteered from Enterprise! I was mislead and then deceived about payment information and the return of my deposit due to the negligence.The customer service at the waycross office was definitely not up to par. We were contacted several times during our vacation to come back to waycross so shortened our vacation. 4.45 that they didn t have a car available. Due to the extreme weather conditions I was forced to take a cab and occurred expenses of over one hundred dollars. The North Brunswick office later advised me that they had a vehicle available fifteen minutes after there office was.supposed to be closed.although they now told me told me that they closed at six. In any case i was a Thirty minute drive from there office I they were going to pick me up and the transaction would take way past there closing time. I told them that the failure of the Somerset Office and there office to provide me a vehicle. endangered my health and they advised me that my situation was not there fault. My name is Lillie Harrison and I rented a car February 8-12, 2018 in Costa Rica and we had the worst experience in our life renting a vehicle. The reservation number was 2019918715; other numbers listed on contact RA SJOT61-1197b; ep 393971992. We brought extra insurance due to this area requiring 3rd party coverage, the rental car give you a scare tactic spill when renting so we brought extra liability insurance. The representative went on to tell us if something happen do not ask or flag people down for help due to people in the area may rob you because they are able to identify rental cars.. My son in law Sedrick Durant proceeded to question them about this due to the fact they mark the rental cars so they can identify them. Enterprise in Costa Rica takes a piece out of the front and back bumper so they can identify them. Sedrick pointed this out to them if you are doing this you are setting the rental cars up to be a target. Complaint: The vehicle did not have working air, the entire time. We went to the Antonio National Park and beach and on our return the rental vehicle had a flat tire, on the narrow edge of the road we were able to get off the road as best as we could. The jack nor did the hand wrench worked that was in the vehicle. We called several time on all 4 phones trying to contact Enterprise, finally when we got a lady on the phone we begged her not to hang up do to everyone else speaking Spanish and it was hard to communicate with others. Enterprise sent out a young man on a motor bike- he had a hand wrench but no jack the jack was broken it would not work the vehicle kept falling off the jack, at this point I feared for my son and the young man life. We called 911, but they told us we had to contact Enterprise. Finally a policeman passed by, he stopped to assist us, he took his jack out and it would not work, after about two hours the policeman flagged down another man and they used his jack. Once they got the spare tire on the tire was flat, we stood for a minute discussing the fear of driving to a location to get air due to this would damage the tire, so the policeman flagged down a semi-truck who had an air pump to put in the tire. Due to the fear spill Enterprise car rental rep gave us, we took pictures of everything and everybody for safety reasons. By this time a multitude of Policeman came they went up to my son in law and asked for passport, now fear has really kicked in. We stayed clam showed his passport and finally we were on our way. The rental was returned on the 12th, we spoke to Martin Rodriquez, and he said he could discount one day, and not charge us for the tire damage. To my amazement he told us they charge the customers for tires if something happen. This should be against the law based on the representative telling you that people targets the car to due thing such as this and to say the tire was not new nor should the customer be held responsible for the bad roads. I explained to him I was completely unsatisfied with my experience and I should not be charge for this rental. I feel like there should be some other compensation for my son and I do to the fact we had to stand in the road to be flagmen frying to prevent cars and semi-trucks from running over them due to being in the road trying to change the tire. I want to find out about additional reparations for such a horrific experience, we are emotional and mentally scarred from this experience. I can be reached at 850-510-6829; my son in law Sedrick Durant can be reached at 813-478-3003. I have the pictures trying to print from my device. Yesterday 2/12/18 around 7:35 p.m. I went to the airport enterprise in Atlanta Georgia to make a payment of $145 I requested to speak to the manager Lamar because payment will not be taken while speaking to Lamar I did not appreciate him adjusting his private parts infront of me. I took my truck into Helfman Ford for a recall. Ford was kind enough to pay for a rental car for the day since I had to take my mother in law to PT. I got a Ford Focus 2017 with almost 29,000 miles on it. The car was filthy. I rubbed my hand across the dash board and it came up black. There were finger prints and I believe nose prints on the passenger side windshield. The car smelled like cigarettes. While I was driving I noticed when going from first to second the car made a grinding sound that you could feel through the floor boards. The brakes were grinding the whole time whenever I stopped. I've had small issues before, but this was beyond ridiculous. When I turned the car in the guy didn't even seem to care. I'm grateful to Ford for paying for the car, but I can't say much for the car itself. Hello, I been calling cooperate since December with no response yet . I'm in disbelief I had a horrible experience with my rental . I have called cooperate over 4 times no one has reached out to me. I'm getting billed for a rental that did not damage . I only want to someone to listen to me and here my side story. Cooperate haven't responded to me and it February .Maybe someone will see this and reach out to me. I rented a car for 3 days (January 16 - 19, 2018) from the Burbank Airport Enterprise venue - Rental Agreement # 339862457. I had called in to the Burbank Airport Enterprise Rental Counter and in response to my inquiry on whether I could receive airline frequent flyer points/miles on one of my airlines accounts for the rental, I was told that Enterprise does not participate in such programs. But upon return of the car on the 19th, the agent in response to the same inquiry told me that Enterprise does participate in such programs and that I needed to have submitted a frequent flyer account number before the car was returned. I would appreciate if you would please indicate to me which airline is a co-share participant with Enterprise so that I can please supply my frequent flyer number to receive the miles which accrued over the 3 day rental. I am glad to submit the receipt for the rental. Called Safeco insurance and they made a reservation for me at above location. Someone from Enterprise called me from above location and asked when I would pick up vehicle. I said probably the next day, or possibly the day after. I was told to call before hand on the day of pick up. The insurance adjuster stated I could pickup immediately if so desired. I called the next day as instructed and was told no vehicles available until after 8 PM. My schedule would not allow me to pickup after 8 PM, nor the next day. I am told I could pickup immediately on the same day as the reservation was made, now I am told to wait. I phoned corporate and filed a complaint there as well. No one seems to care about the customer. The above location staff and manager stated I could phone any location for vehicle availability. Then should find me the vehicle as I was told it was ready for immediate pickup. I'm sure Safeco insurance accounts for a big part of Enterprise's business, but yet I'm treated like it is an inconvenience to them. They sure don't seem to get it, I'm the customer, the reason they are in business. But alas it is lost to a bunch of young punks who don't get it. On Friday, September 29, 2017 I had a flat tire driving on HWY 6 westbound from Navasota, Texas towards Houston, Texas. I called the 1-800 number to customer service very nice lady I explained my situation to her and she said she submitted the report and that someone would call me from the wrecker svc. So I waited and about an 30min to hour Triple AAA calls me telling me that the tow truck cannot get to me till about 545pm. So I told triple AAA I could not be out in the middle of no where with my mother which is 75 years old. She is elderly needs to go the restroom, drink water, and eat. So Triple AAA called the Navasota Police Department to come and get us so they can take us to the nearest gasoline station and bring us back to the car. So I had to ride in the back seat of a police car which I had never in my life done especially with my mother. Then after the kind police man brought us back I called the enterprise Rent-a-car location near me which was only about 17minutes away from me, and asked what if I paid Uber service to drive me or could they send someone to pick us up to the location 4095 Texas 6 Frontage Rd a, College Station, Texas 77845 so they could give me another car? . They said no because I had to turn in the car with the flat tire before they gave me one and if I wanted them to pick me up I had to set the service up 5 hours in advance. So I had to stay in the middle of no where for about 3hrs and a half with my elderly mother until the wrecker showed up. On top of everything my mom got bitten my fire aunts. And at 5:35pm I finally called Enterprise @ the address I mentioned above and some girl answered that if I get there after 6pm. For me not to bother to just drive to the airport and see if they can help me there after 6pm. The whole situation was unacceptable. Just imagine if this would of happened to my mother and I late evening. Why couldn't someone from the enterprise place bring a car to me I was only 17min away from the office they could of verified the car was there ... they schedule for Triple AAA to pick it up. I'm a Manager at a hotel, a couple of months ago I had some people check in because their car had broken down they decided they wanted to go home and asked if I could recommend a car rental service. I told the guest that we had Enterprise down the street and that they will pick you up. 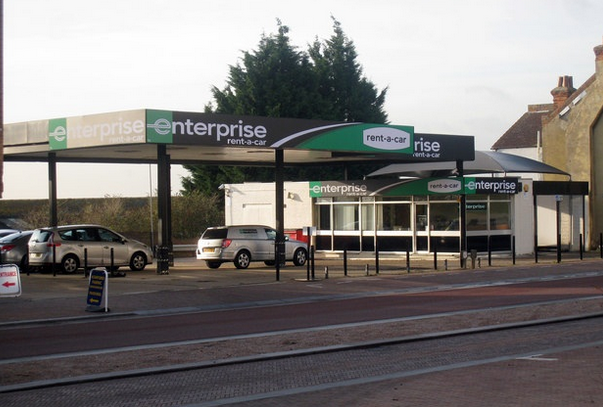 I have dealt with Enterprise several times, my car insurance uses them and of course Enterprise is well known for their services. As the guest were sitting in the lobby waiting for someone to pick them up they were told someone would pick them up in 30 mins well an hour had passed so they called to check and was told that they would be their in 30 mins well, 30 mins came an gone with no Enterprise so they called again they were told the same thing. The guest sat in the Lobby for two hrs waiting on a company that I recommended with high regards....What a mistake!! Now my interaction with Enterprise. My son was going to homecoming so I decided I would rent a suv big enough for him and his friends. I made a reservation online. A couple days before picking up the vehicle I just wanted to make sure everything would run smoothly one because of the incident with the guest I had recommended to Enterprise and two I did read the reviews and they were terrible but I had used Enterprise several times so I didn't let that discourage me. On Sept. 29th I had went in to the location on Riverside Dr, in Fairmont WV to ask some questions. I didn't know if I would be back at noon the day I was to return the vehicle so I wanted to inquire about late fees. I walk in unfortunately, I don't know who I was speaking to but it was a female and she was pregnant , she asked if she could help me I gave her my name told her I wanted to check on my reservation and I had questions, she pulls up my reservation and states everything looked good so I asked the representative about the policy on being late because I wasn't sure if I would be back in time, the first thing out her mouth was that they had camera's, right off the bat I'm offended I didn't ask her about camera's I asked about the late fee policy, I smiled/laughed at the representative in order from getting angry told her to have a nice day and left. I had to run a few errands for my son's homecoming I figured by the time I was done I would calm down but I didn't so I called and ask to speak to the Manager. I proceeded to tell the Manager what happened he tells me I have a 30 minute grace period anything after that is $43.00 an hour I said that's all I needed to know, not we have camera's and why couldn't the representative say that from the beginning, he apologized and told me he would handle it and hung up. How can the Manager handle the situation because he never asked me what was her name, unless he was one of the guys sitting down on the right hand side on their cell phones when I walked in and knew which one I had spoken too. Sept. 30th Homecoming day I go and pick up the vehicle very friendly representive tells me the price and then tells me I had to have a $150.00 deposit now I thought when you had a major credit card you didn't have to have a deposit no big deal though I said put the charge for the vehicle on my major credit card which was the Mastercard and put the deposit on my Visa card which he told me would be refunded on Monday. The representative ask me did I want a Yukon or Suburban, I went with the Yukon when he brought me the vechile the car wasn't washed and I didn't notice until I got home there was something sticky on the seats. The representative asked did I want insurance I told him yes transerfer my insurance over he proceeded to tell me that he didn't think it would go through like I stated before I have dealt with Enterprise several times and I have transerferred my insurance over many times. The representative asked me to sign my initials I informed him we haven't gone over the car he stated it was ok he checked it over and everything was fine I informed him anytime I have came here we go over the vehicle he sated you have insurance he went over the car and everything was fine, reading more on reviews 10/2/17 I'm not so sure that was a good idea. October 2nd 2017 I checked my bank to make sure my deposit was put back on and I see a charge of $150.00. The $150.00 was a deposit so why am I being charged so I called Enterprise they informed me they charged the wrong card and they would reverse charges so I give them about an half go back and check instead of reversing the $150.00 they charged me for $13.68. I'm a manager at a hotel I deal with complaints on a daily basis so the last thing I like to do is complain but this is unexceptable and I'm highly irriated and aggitated. The workers seem unprofessional and I understand mistakens are made but it seems they are having a hard time correcting the mistake they made with my accout. I'm not pleased and I will never use Enterprise nor will I ever recommend anyone to use Enterprise. I'm filing a complaint and if things are reversed soon I will be filling a complaint with the better business bureau. This is unacceptable and I won't be overlooked! I called my bank the charges are pending they haven't been reversed and after calling the Manager back he justified his employee lying to me about the insurance he stated it's his job to sell me the insurance, I told him it's his job to offer the insurance not lie and say that mines wouldn't go through basically I got nowhere with the Manager. On Sunday, September 17, 2017, at 1:42 pm, I returned a vehicle to the Enterprise car rental on 176 SCENIC HIGHWAY LAWRENCEVILLE, GA 30045-5739,7709626180. When the customer service rep accepted my return keys, I told her that I would need a ride home. She asked me where I was going and I gave her my address and told her that it was only ten minutes away. She said ok, but it was be a little wait because they were busy. I told her know problem. After twenty minutes she came back and said I'm still trying to find someone to get you home. Twenty or thirty more mintue had passed and we are still sitting there waiting to be taken home. She came back again and said I haven't forgotten you guys. At this point I was very annoyed. I understand that they were busy, but at what point do you say these people have waited long....let's get them home. It was at least 4 or 5 people working and no one cared that we had now been waiting for almost and hour . It was at this point that I got on my phone and called around until I finally found someone who was home and was willing to come and pick us up. It is now 2:30 and we are still waiting. When we were finally pick up, No one came out and said that they were sorry for the incovenience or anythings. It was like we were never there. I have never been treated so poorly at any car rental place. Enteprise was my go to rental car place...NEVER AGAIN will I rent from them. Luis Martes When there clenean then self at the garage office on the miami airport the were to buzy to assit me and when i said why they don't asist me thay said they are waiting for employees to show up to work. And they were doing nothing for at leas 30 minutes. St. Louis Enterprise office on Kings highway gave me crappy replacement car after i've been renting for 2.5 years, saying that is all thats available. Jeannie in customer service told me i can drive over there every day to see if they have a better car! Also they charged me $672. for a one week rental in New Orleans. I think thats outrageous, considering all of the money they make from my company rental car. Again, Jeannie in customer service had nothing to offer in ameliorating this. I'm really disappointing about the enterprise rent a car service. This is because the incident happened to me recently. I have reserved a rental vehicle that can accommodate more than 6 people from Senatobia MS location (reservation confirmation number is 1130824836). The day before the pick up I got a call from them and saying they are completely out of Minivans and SUVs. This is a bull and what's the point of having online reservation method. And they are saying we have to call them and confirm our reservation. I'm again saying what's the point of having online reservation system. I don't know why these people are treating others very disrespectful way. So due that I'm going to completely ruin my trip and I'm going to loose lot of $$ due that. Since I have booked hotels and tickets most of them are non-refundable. I never recommended this Rent-A-Car company to any of them and please be aware before your plan your trip. This is not the first time that happened to me. I'm saying again, I'm really disappointing about how they treating to their customers. Made a reservation on the phone for a pickup in Fredericksburg, VA. And was told since i was a member the 75$ drop off fee will be waived. When I arrived I was told there were no cars and waited for almost 3 hours, then was told i charged 75$ and this would not be waived. I am requesting a refund of 75$ since i was told i would not be charged a drop fee. Thank you. I, (Patricia Lewis), made an online reservation on Thursday, November 3, 2016, for a friend, (Phyllis Rogers), to get a car for the period of Friday, November 4, 2016 through Monday, November 7, 2016. We picked up on Friday; and I used my credit card for payment. The requested car was not available, so she was upgraded to an SUV at no extra charge. I have two complaints. The cost of the weekend special was to have been $66.79 total. However, we were told by the Representative, (Danielle), that because my friend, (Phyllis Rogers), did not have her own credit card (in her own name), I had to provide my driver's license to pay. Mrs. Rogers was subsequently charged an additional $44.55 as a result of not having her own credit card. I was like what the? Unfortunately, time would not allow us to venture to a different company, so we did not challenge this offbeat action. My question is why was it necessary to see my driver's license? The reservation is in Mrs. Rogers, with all of her contact information. I was not going with her on the trip and certainly was not driving. All I was doing is paying for her. Additionally, why was she penalized for not having a credit card and then charged nearly as much as the total rental cost was supposed to be? These issues have never been a problem in the past. What is different now and when did this change occur? Nothing she was saying made sense. This extra charge (of $44.55) needs to be refunded since no logical explanation was provided. Regardless of her rudeness, I expected to see a charge of $111.34 on my credit card statement. After checking my credit card transactions on November 7, 2016, it was discovered that Enterprise has charged my account $150.94. This is an over charge of $39.60. This was no oversight or slip of a finger. This is a scam!!! Improper charges are made in hope that it either will not be noticed or will not be reported. I am not pleased with anything that went on in this place. My credit needs to be refunded immediately...$39.60! I have been a loyal customer of Enterprise for many years. It is not likely that I will return. The farm bureau is paying for rental car. The rental was set up by the farm bureau. The agent is at location siege in Baton Rouge. They told me that she wanted my credit card to charge a security, or bring her a money order. This is totally against the law in my opinion. I was on a rental under my insurance claim# in Oct 2016 for about 2 weeks, and I've rented a car from Enterprise Tustin Auto Mall, California. When the rental was returned, I found $803.89 charge appears on my credit card with below 2 reasons. Enterprise charged me extra rental coverage which I didn't ask for or sign for. (estimate $600). Enterprise charged me $200 for the rental tax which my insurance company later told me extra taxes could have been covered if the rental day rate doesn't exceed max amount per day, which is the option Enterprise didn't even check or offer to renter when the rental car first been checked out. I even went back couple days later asking to switch to lower day rate rental just so all expenses would be covered, but Enterprise Tustin location kept telling me no matter what day rate I go, extra rental taxes will not be covered by insurance company which doesn't match the information we got from insurance company after checked with them. I've been calling brunch office manager Jacob 2 days in a row and was told either he is gone for the day or he is out to lunch and would call me back. But never heard back from him and the guys seems never in the office to solve problems. The Enterprise Rent-A-Ca location at 319 S Lamar Blvd, Austin, TX had an employee closing this day, Saturday, October 22, 2016. I called this location the day prior (10/21/2016) to confirm and make sure I had all materials necessary to pick-up the rental. He gave me the address for the Range Rover dealership, 1515 W 5th Street, Austin, TX, and said that's where I would pick-up. I went and they had no idea what I was talking about. They gave me the real address and called them to which they said they would try to send a car and to hold on. I had plenty of time to get from the dealership to the real location but they instead kept me on hold for 10 minutes even though I had told them I could arrange a ride there faster. By then it was too late but he said he would wait 5 minutes after close (2:05 pm) if I could make it. I got there at 2:04pm and knocked, waited, called.... Nothing. Needless to say, if this is how Enterprise Rent-A-Car company is represented, you know, employees giving false information to customers and then lying on the phone to them about it, then I can gladly say neither myself nor my company will be using Enterprise services after today. 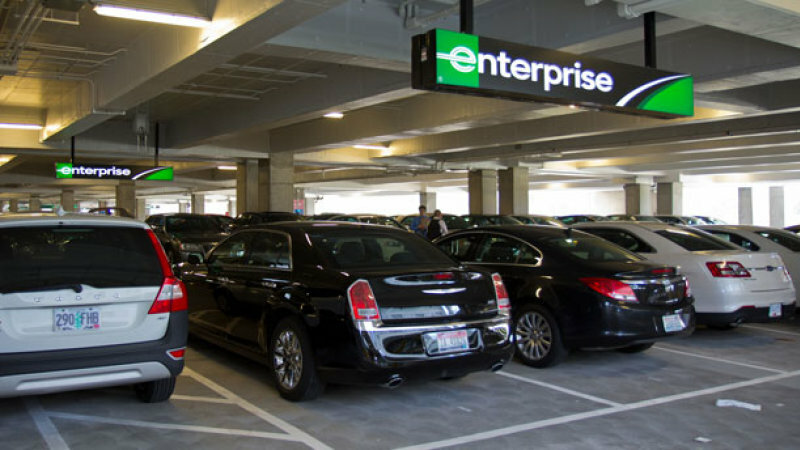 I frequently use Enterprise in the town I live and work, Bismarck, ND, due to traveling often for work. Recently, I had dropped off a vehicle after hours on a Friday evening. I removed my belongings, locked the vehicle, dropped the keys in the drop off box and on my way back to my own vehicle I realized I had left my sunglasses sitting on the passenger seat of the rental car. These were fairly expensive sunglasses so wanted to make sure I got them back. I called right away on Saturday morning and explained the situation, the staff who I spoke with stated the vehicle I was driving was out being cleaned so they would have to check for them and call me back. I called again Monday morning and was told the exact same thing. I had not received a return call at all so on Thursday of that week when I went in to pick up a rental car, I asked the staff at the front desk and was told immediately that they didn't find any sunglasses. I said that I found that hard to believe because I saw them sitting on the passenger seat in the case when I had locked the vehicle up on Friday evening. He again said that they didn't find them - mind you I had never received any followup call from them after calling twice, I had to bring it up when getting another vehicle. I left with my rental car and as I sat thinking about the situation got more and more upset. I called back to the office and asked for a manager, was placed on hold for several minutes and explained to him the situation. I was obviously frustrated at this point and he stated he had not heard anything of it at all from his staff so put me on hold to check their lost and found box. When he got back on the phone he stated that he found the sunglasses not in the lost and found area but in their "wash room" where they should not have been and they would be available for me to get when I dropped off the car, which I thanked him for but still find it odd that not one person after calling 2 times and asking in person took the time to go look for these. When I dropped off my vehicle that evening I was waiting to be helped and the "Manager" walked up to me, handed me my sunglasses and walked away without saying a word. I said thank you and also said I was returning a vehicle - he said "someone will be with you in a minute" and walked away. I waited for several minutes, while getting glares from the staff working and then was finally helped. The entire situation was completely unprofessional from the beginning to the end and honestly the manager reacting like I did something wrong by calling in, which yes I was frustrated by that point, and asking for my sunglasses is completely uncalled for. I would take this to someone higher up in the Bismarck region Enterprise company but honestly am not sure how to go about that. I just don't think anyone should have to deal with that type of poor customer service. I have been a customer of Enterprise since 2007 renting cars from your Mt Pleasant MI store. Without a problem. I was always treated like a costumer would like to be treated. The manager then was Julie. Very good a customer service. Around 2014 some time I started getting pore service. Especially most resent with an employee by the name of Felicia not sure her last name. But every time I talk to her she talks over me, does not listen to my issue and always is doing something else when she answer the phone. I’m waiting on her not the other way around. She does not help with issues she makes them. I’m telling you this employee acts like the costumer is putting her out. I can’t tell you how many times I have had issues with her and her attitude. I will not deal with her anymore the last time I spoke to her was on 4-18-16 when I tried to give her my mileage so my contract could be rewritten and she did not have time to write down the number but had time to tell me she was with a costumer and did not have time for me. If she was with a costumer she should not pick up the phone! I have been working for over 35 years and will not put up with this rude behavior from an employee from enterprise with an attitude. If you want a full blow by blow account from all issues feel free to contact me by email. Kendra Yates Branch manager located Jim Miller and I 30 in Dallas 75228. I've never had someone be so RUDE in my life. Do yourself a favor and go somewhere else. I asked for the same rate on the car and the CS person said that they could not do that. I could have paid more for a rental at other rental companies. I smelled something funny in the car the next day ( when the temp climbed to near 80 degrees and it seemed as thought someone had thrown up beside the drivers door and was never cleaned up. I did my best to clean it up, 300 miles from my home. I am requesting a full refund in the Amount of $87.52. My rental agreement number is 3MY2SD. You have my email address above. I will be anticipating your response very soon please. I dropped my car off to have a clutch cable replaced. I rented a Fiat 500 from the local Enterprise. When I returned it they discovered a scratch that they are blaming me for. The have been charged $250 while they do a search of their records to see if someone previously reported the damage. I of course have learned my lesson and will never rent from them again. Overall I give Enterprise a 50/50 complaint rating. They have decent customer service and OK cars, but they have some fairly terrible and rigid corporate policy. For example if you do not have a credit card you cannot rent a car, not matter how much money you put down. If you have a check it does not matter, nor can you put cash on the hold. They have to have a card on file they charge $500 to at least. What's the big deal? You'd think a simple credit card would show you are not a criminal. If we cannot own a car for a long drive, we should always select the best car rental company to save our time and money. I got a good deal from Enterprise Rent A Car for my holiday trip which is scheduled next month with my friends. Immediate customer support, online bookings, fair rates made us feel comfortable to select Enterprise Rent A Car for our trip. They also provide commercial fleet managements, used car sales and commercial truck rental services for domestic purpose. Enjoy the fast and easy car rental booking from Enterprise Rent A Car in your nearest locations. Have feedback for Enterprise Rent-A-Car?